The Mexican giant tree frog can be seen at the award-winning National Amphibian Conservation Center – a leader in amphibian conservation and research – which houses a spectacular diversity of frogs, toads, salamanders, newts and caecilians. Mexican giant tree frogs are round with long arms and legs and stout bodies. Their eyes are gold and black. 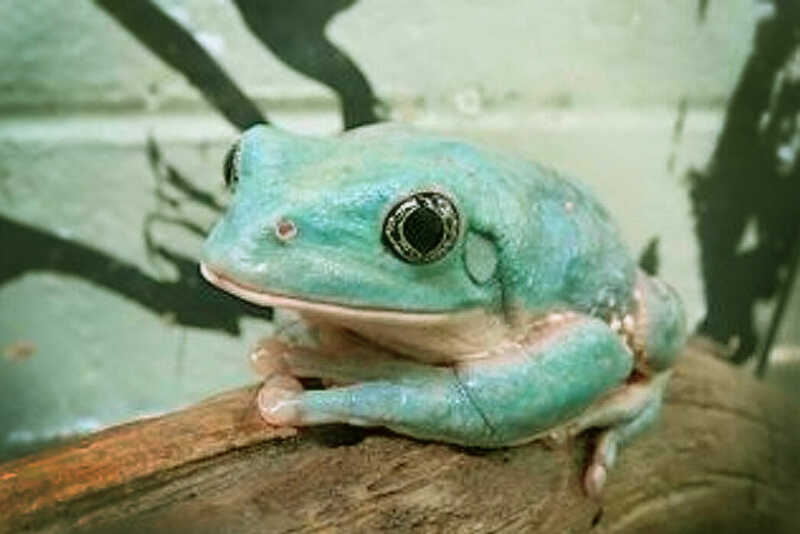 These frogs can change colors from brown to bright green with cream undersides. Their backs usually have small gold or orange spots. These frogs have muscular forearms to help them climb trees. They are often referred to as “waxy tree frogs” because special glands in their skin produces a wax that keeps it from drying out. Eggs are deposited in a gelatinous nest underneath leaves, positioned above water. Tadpoles will drop into the water as they hatch.